Give your Child the Winning Edge! A-Plus’ Teen & Adult classes are full of variety with the average student training for years. Every class is a complete work-out designed to improve your flexibility, balance, endurance, and strength. With our regular training you will lose weight, gain muscle tone, and improve your athletic performance for other sports. Many of our adults join with little or no experience. Our instructors are always receptive to your questions and will take the time to teach you step-by-step, with patience and enthusiasm. We promise that A Plus’ program will be one of the best decisions you ever make. Unlike traditional workouts that make you feel drained and exhausted, a Taekwondo workout will leave you feeling invigorated and energetic. During your Taekwondo training, you will learn breathing and meditation techniques allowing you to slow down your frantic pace and gain a fresh perspective. As you practice Taekwondo, you’ll not only be improving your fitness level, but learning a highly effective form of self defense as well. 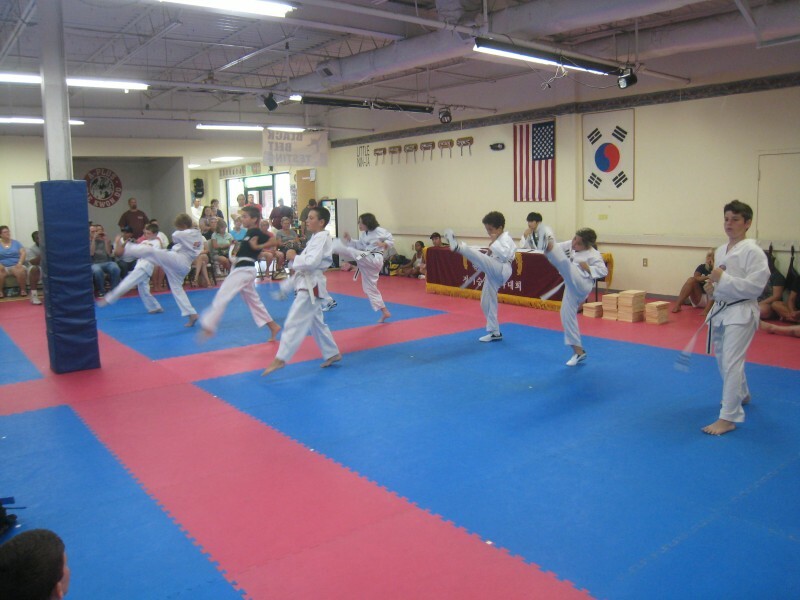 Taekwondo can provide you with the presence of mind, awareness, and physical readiness that will give you options in a confrontational situation. It will improve your physical condition, posture, eye contact, and awareness. Our Professional Instructors Make the Difference! 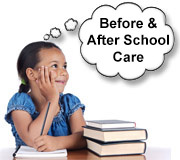 The instructors at A-Plus are experts at working with children. They know how to gain your childs attention and keep them motivated. Our instructors understand that it takes time to build a relationship just as it takes time to learn the martial arts so they are patient, enthusiastic, and they teach with a smile! We provide age / level specific class and a flexible class schedule to allow you or your child to attend classes at times convenient for you. 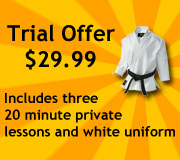 Simply fill out the trial card form and we will contact you about setting up your first class. Building skills for life at A-Plus Martial Arts and the first step is up to you… Get Started Today! You may reach us at 410-360-5800 or email us at aplus21122@gmail.com if you have any questions.